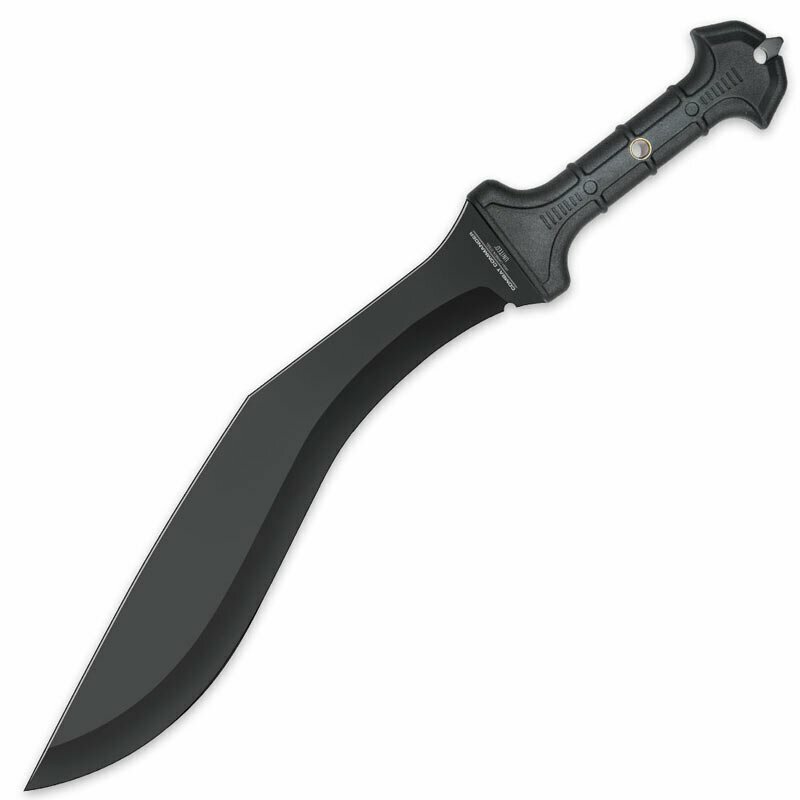 United Cutlery Combat Commander Gladius Kukri(UC3179) Machetes for every day use. Cold Stell machetes - high carbon steel survival machetes. Defend yourself like the toughest of warriors with United Cutlery's Combat Commander Gladius Kukri. The full tang kukri features a powerful and thick, 15 1/4” razor sharp, 1065 high carbon steel blade built to defend. The TPR rubberized handle provides a sure grip as you wield this mighty blade. Carry it in the reinforced nylon sheath. As always, Combat Commander is your go-to for tactical, high-quality weapons that will back you up!